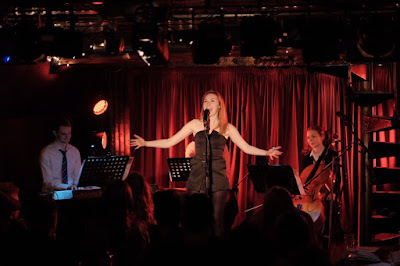 A packed Battersea Barge saw Evelyn Hoskins deliver a slick and intimate cabaret. 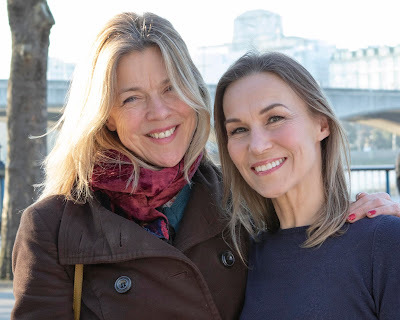 Elfin / gamine / diminutive - take your pick of the adjectives, Hoskins' looks famously belie her age and for a show titled There Was A Little Girl she not unreasonably opened her set, clad in a tightly fitted and collared school-girl outfit. The Sound Of Music's Liesel (who Hoskins recently played live on ITV) was famously 16 going on 17, and only this time last year Hoskins was playing Carrie, a telekinetic teenager of similar age yet barely out of puberty - so clearly there's been a little bit of typecasting going on. But the singer has cannily and professionally exploited her charms to the full. As she sung When I Grow Up from Matilda, Hoskins brought an almost ethereal beauty to the number. A few songs into the evening however and it didn't take long for Hoskins to shed the chrysalis of her kid's costume, literally let her hair down and emerge before our very eyes, transformed from precocious brat to twenty-something beauty. Her set list stepped up a gear too as she duetted First Date / Last Night with Jon Tarcy (previously her ITV Rolf), later duetting with Sam Lupton in a mellowed That's What's Up. Hoskins' take on The Things That Men Don't Say offered a beautiful vocal, framed with a maturity that dispelled her trademark youthfulness - and there was to be another most charming of double acts as, whilst strumming the ukulele, she sang Cyndi Lauper's Girls Just Wanna Have Fun alongside her director Frances Ruffelle. 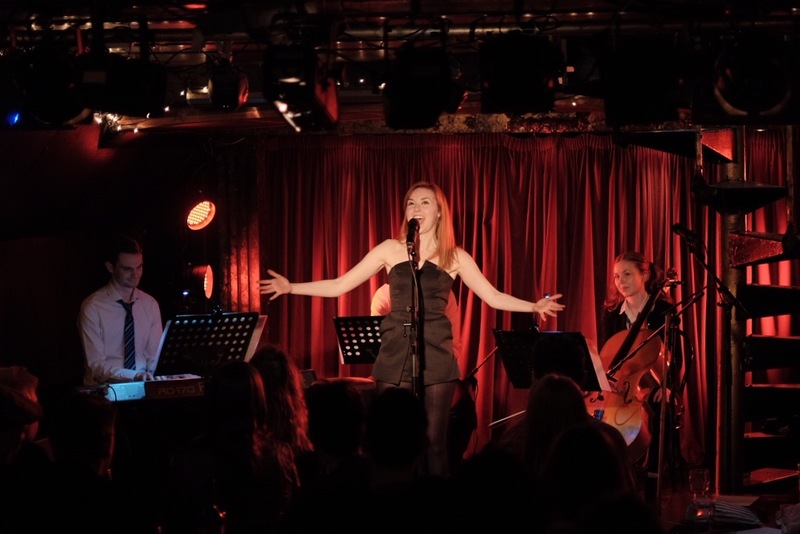 Few performers understand the nuance of cabaret like Ruffelle who had polished Hoskins' act to a lustrous sparkle, ably supported by MD James Taylor's three piece band. A gloriously assured and virtually faultless performer, Evelyn Hoskins is a welcome addition to London's cabaret scene.